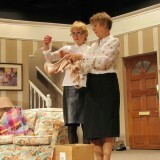 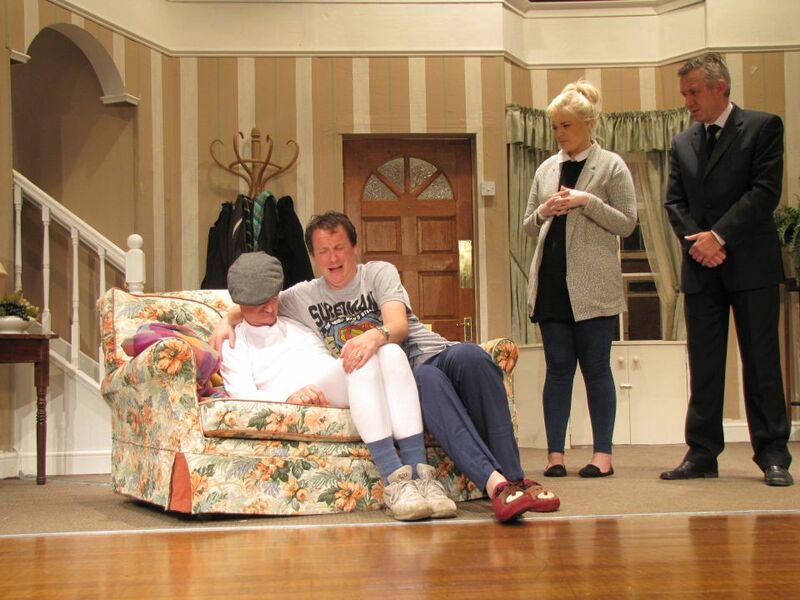 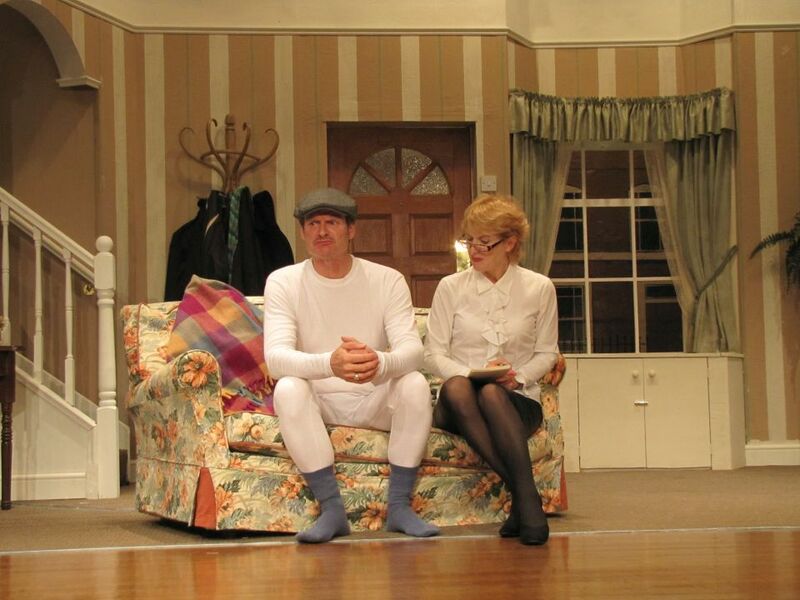 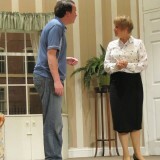 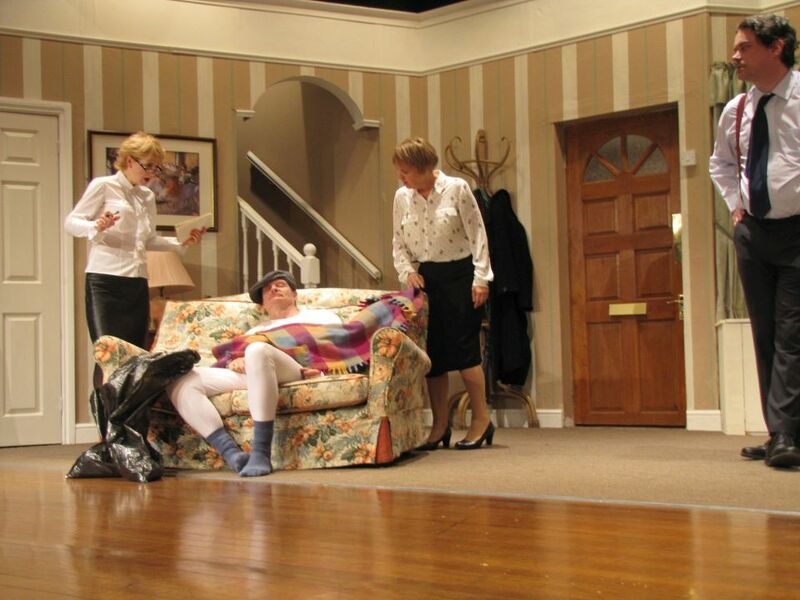 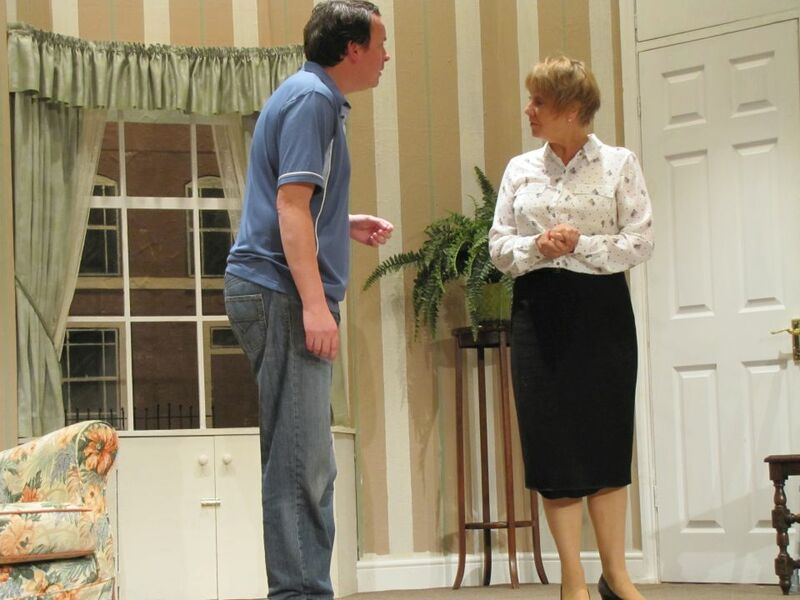 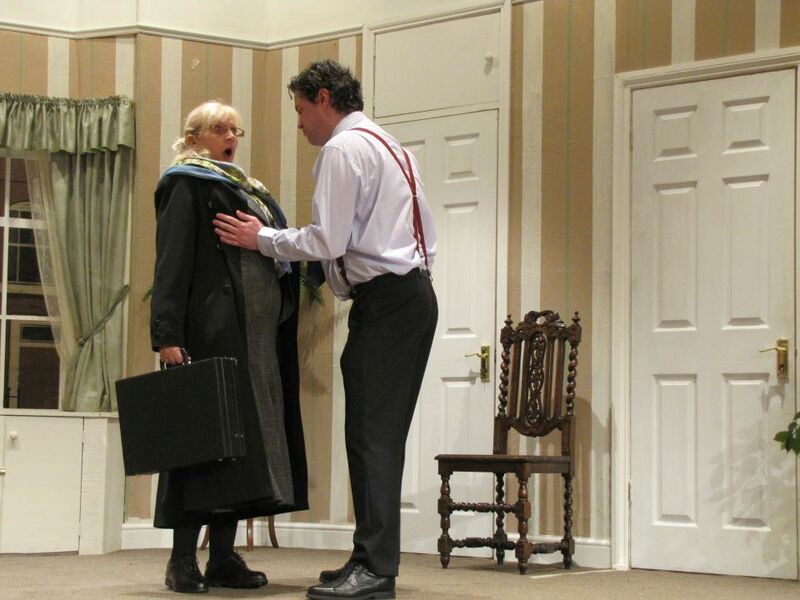 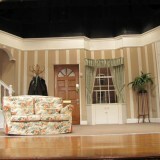 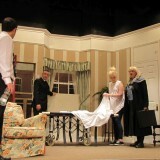 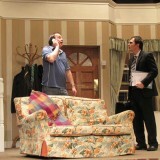 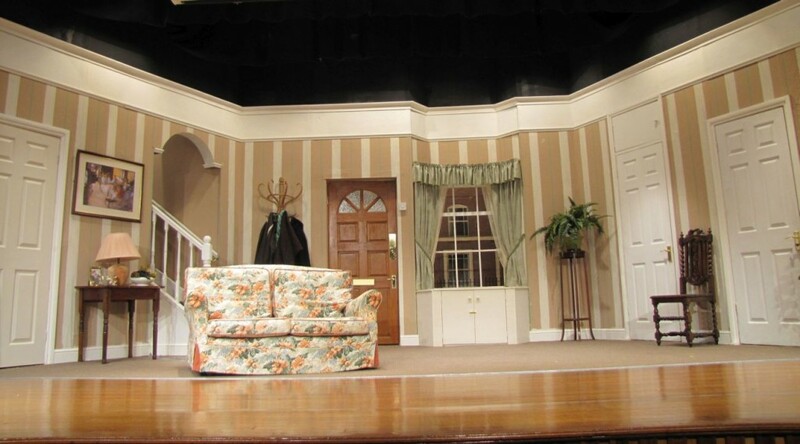 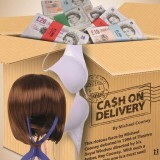 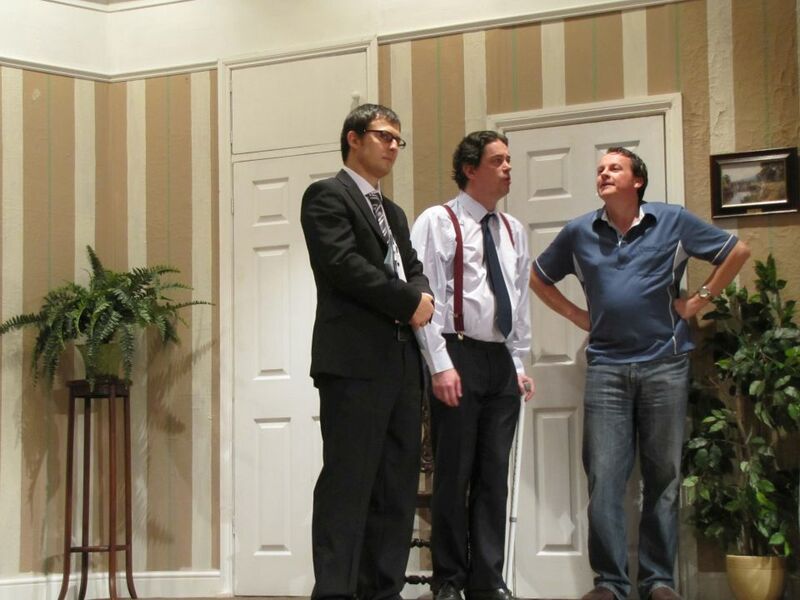 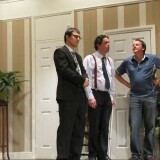 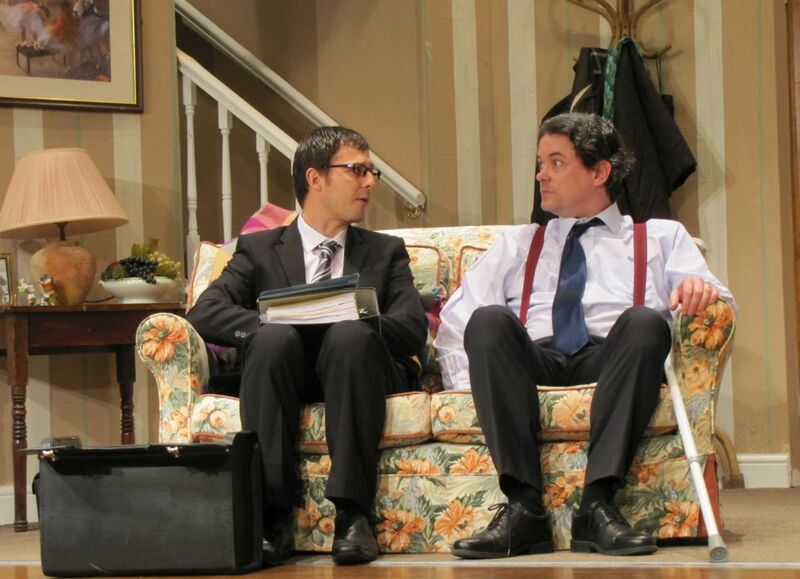 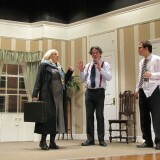 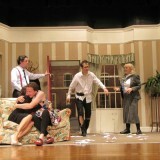 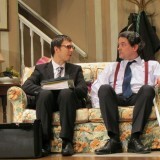 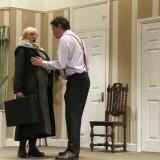 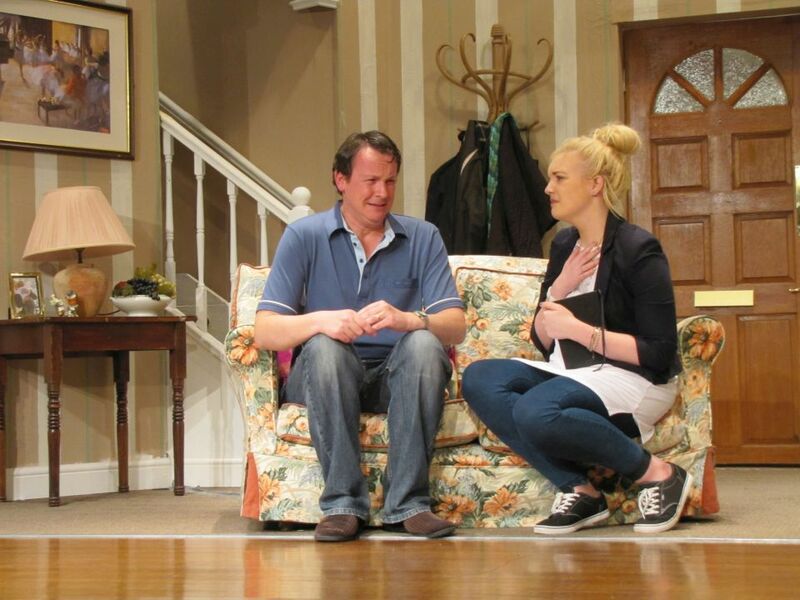 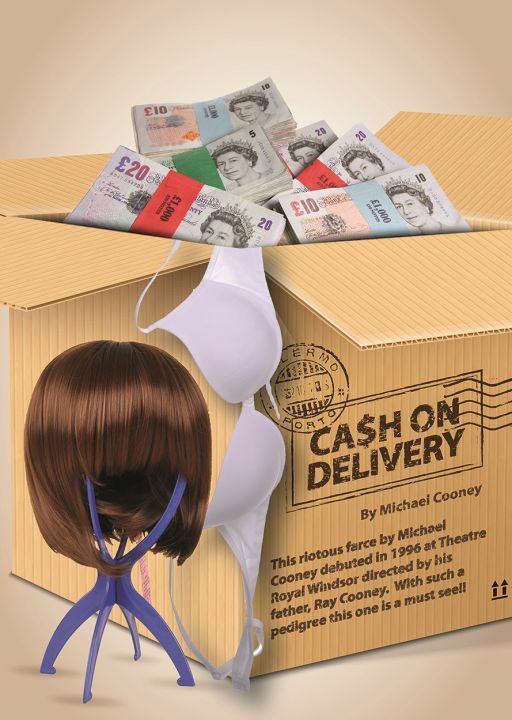 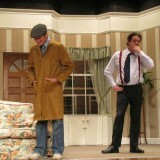 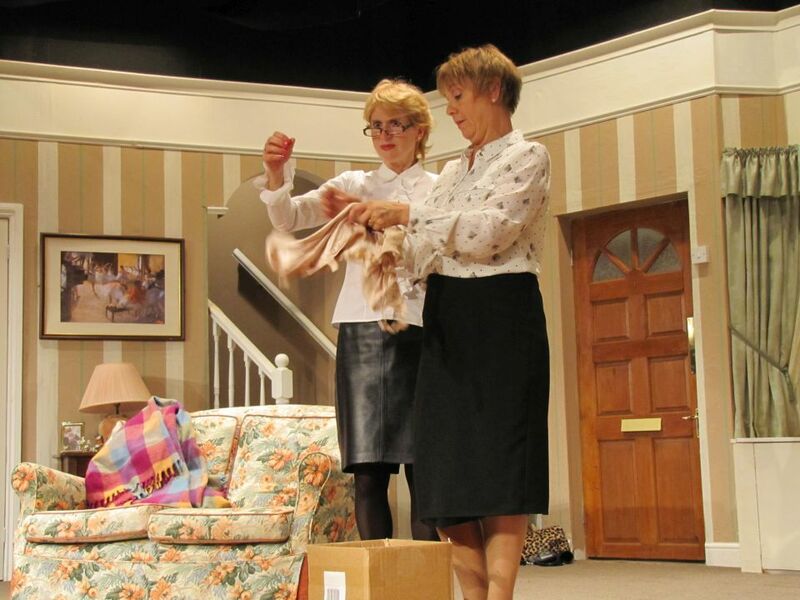 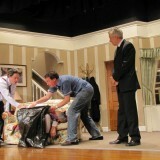 Cash on Delivery is a superbly funny farce by Michael Cooney, son of Ray. 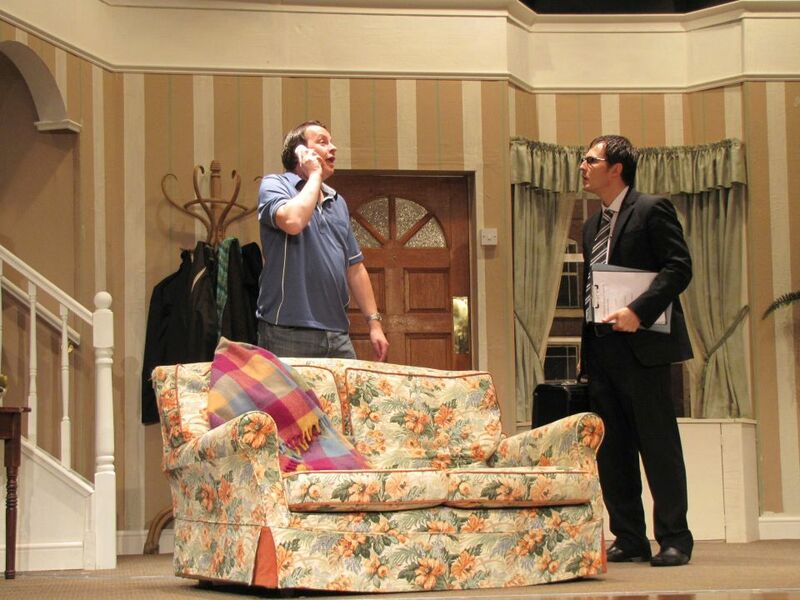 Eric Swan (aided by his Uncle George and unbeknown to his wife, Linda) has pocketed thousands of pounds through fraudulent DSS claims. 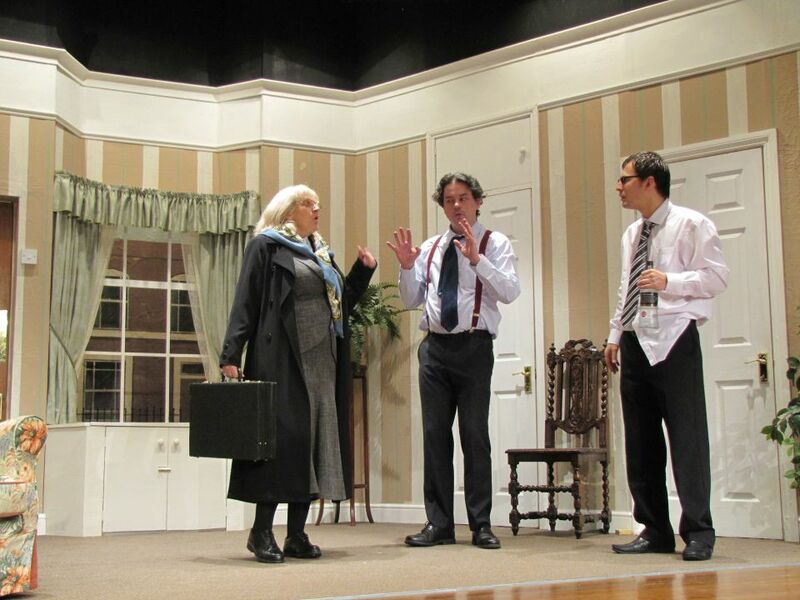 When Norman Bassett (the lodger) opens the door to Mr Jenkins, the DSS Inspector, deceptive mayhem follows — as do the undertaker, bereavement counsellor, psychiatrist, Norman’s fiancee, a corpse and the ominous Ms Cowper. 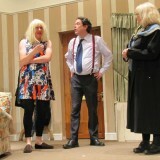 This was a fast and frenetic production where the audience were in stitches from start to finish. 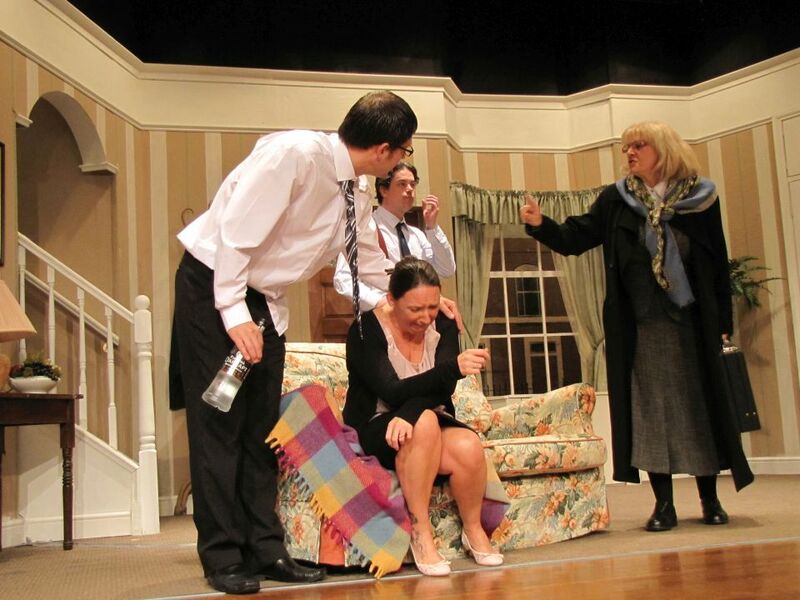 The number of plot twists kept everyone on their toes including the cast. 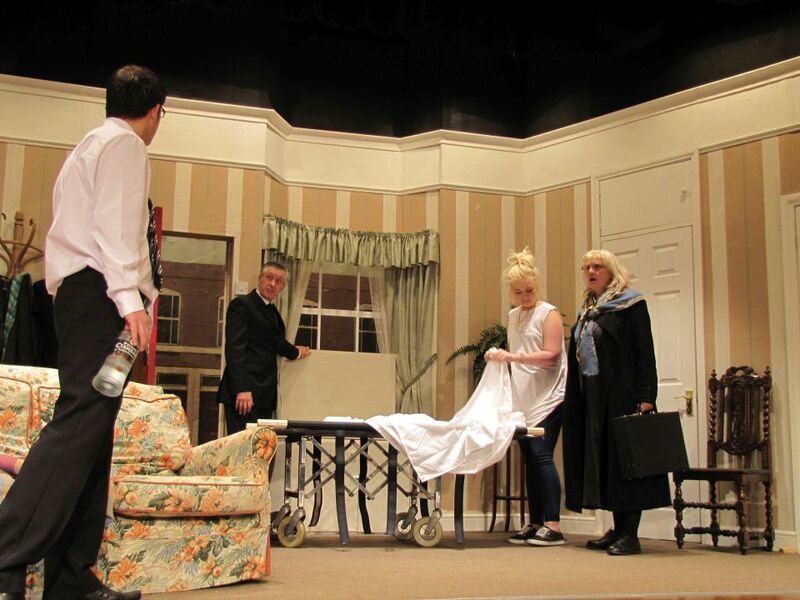 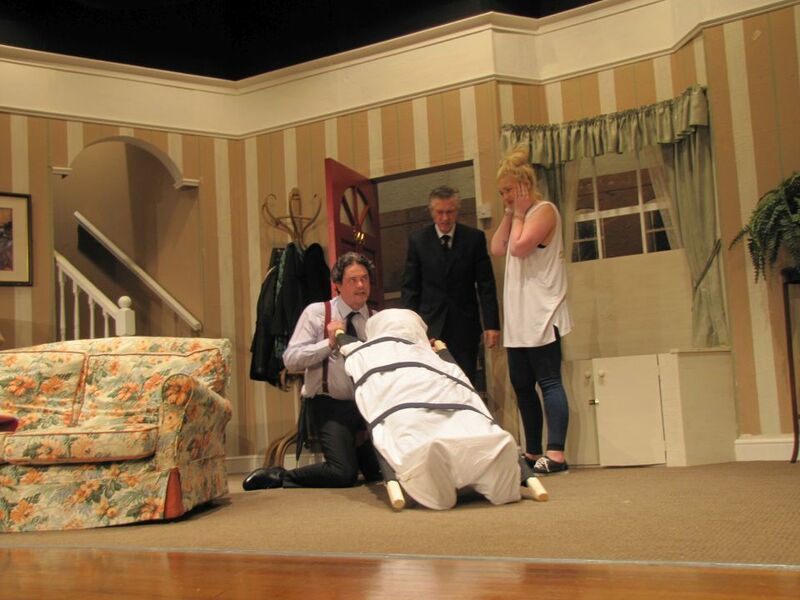 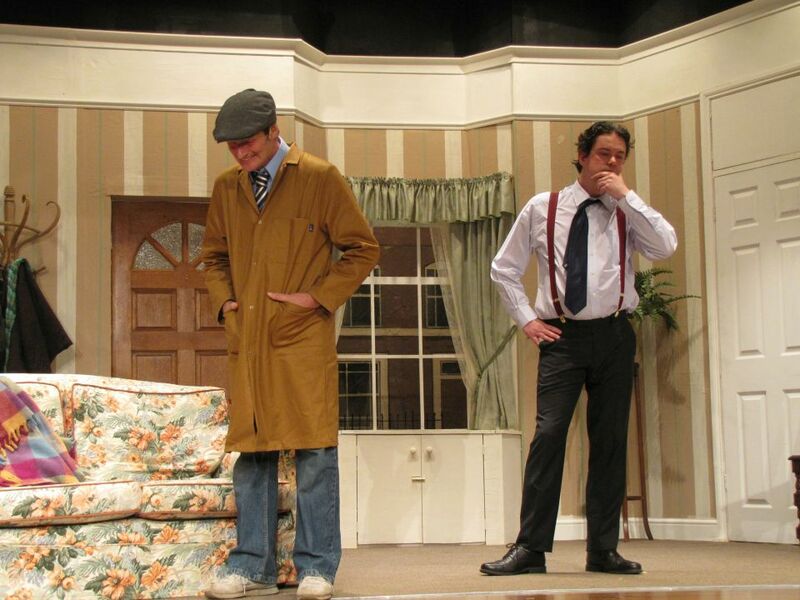 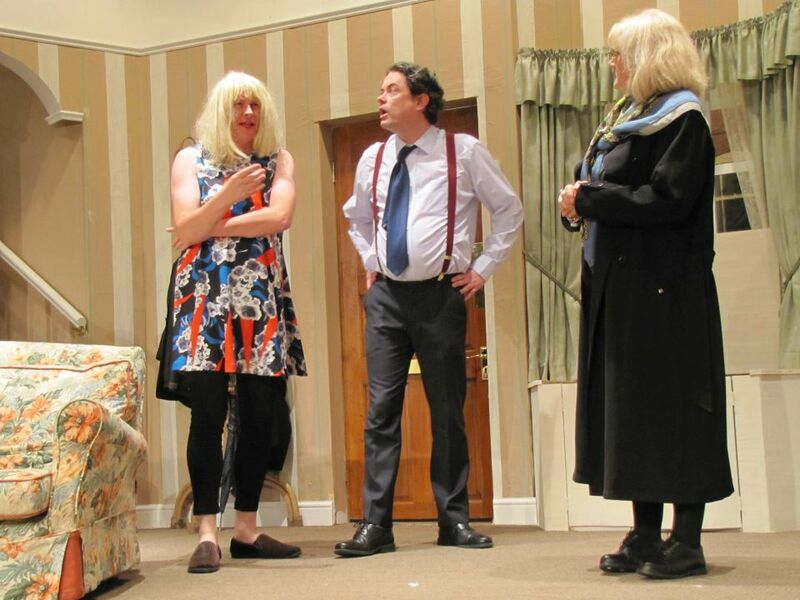 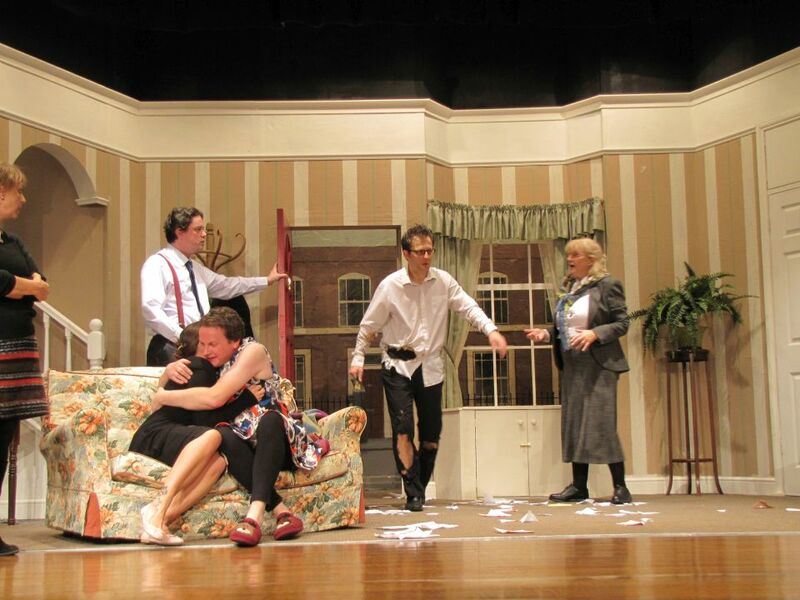 Probably our most well received farce to date, and we have done some crackers over the years! 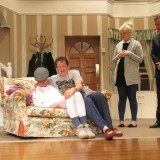 I errr that is... ummm. 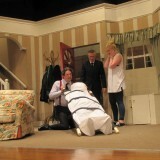 He doesn't want to leave yet!